Discover this famous wine region by bike and boat and enjoy an active but still relaxing way of travelling. Bordeaux, a fascinating town full of history and trade, listed as a UNESCO World Heritage site, centre of the biggest wine producing region in the world. 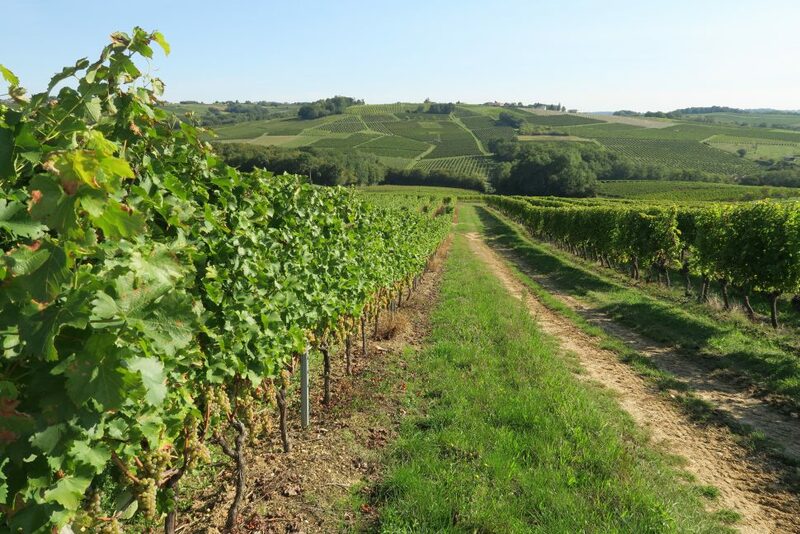 During this cycling itinerary you will explore a large part of the vineyards on the right banks of the river Garonne. In the afternoon you can enjoy free time on board or visit picturesque placed. Arrival in Bordeaux and check in. Afterwards, you can take over your bike and start your first small trip in Castets. This fruitful region is also called ‘Little Holland’, due to its many vegetable fields and fruit gardens. Today, the bike route leads through the region Entre-Deux-Mers. You will discover ‘Malagar’, the former residence of the author François Mauriac, or the castle Malromé, the former residence of Toulouse-Lautrec. You can visit the grave of the painter in the pilgrimage site of Verdelais. You can bike from fortress to fortress – the view is breathtaking. Look forward to the town of La Réole, to the village of Sainte-Croix-du-Mont, and the panorama plateau. In the late afternoon, the trip with the ship continues upstream on the Garonne, all the way to Loupiac, on the other side of Cadillac. Today we will discover the Sauternes region on bike. 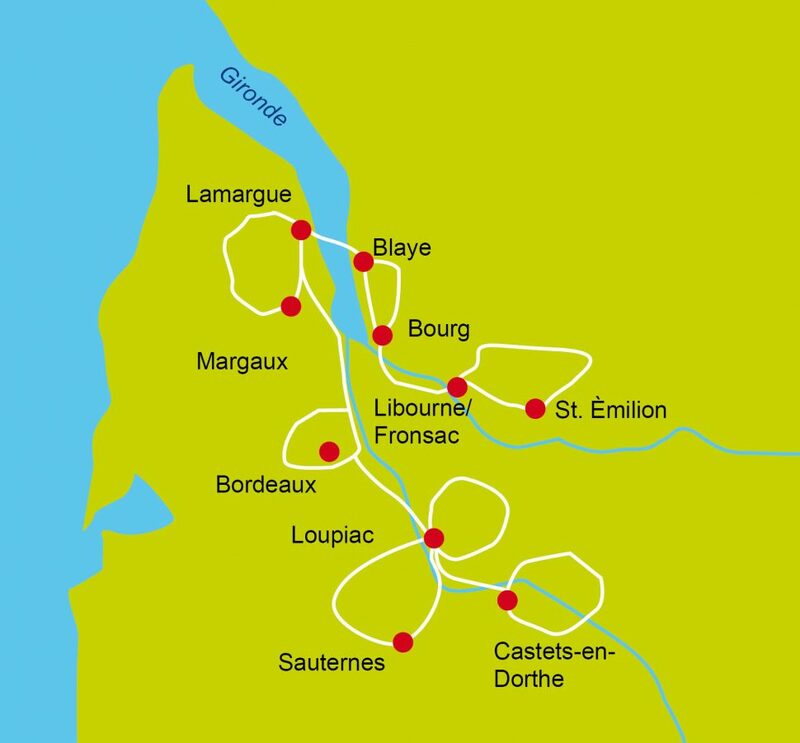 You will ride through the region of Graves,where the Bordeaux wines are from. You will pass the famous vineyards Château d’Yquem, Château Suduiraut, Château Guiraud, Clos Haut Peyraguey, and many more. The route follows the winding shores of the river Ciron, whose icey waters are floating into the warmer Garonne. When the words ‘all men on board’ are uttered, we will leave and travel on the Garonne to the next highlight of our trip. The goal is to reach majestic Bordeaux, one of Europe’s most beautiful cities. Make use of an evening stroll to get a good impression. 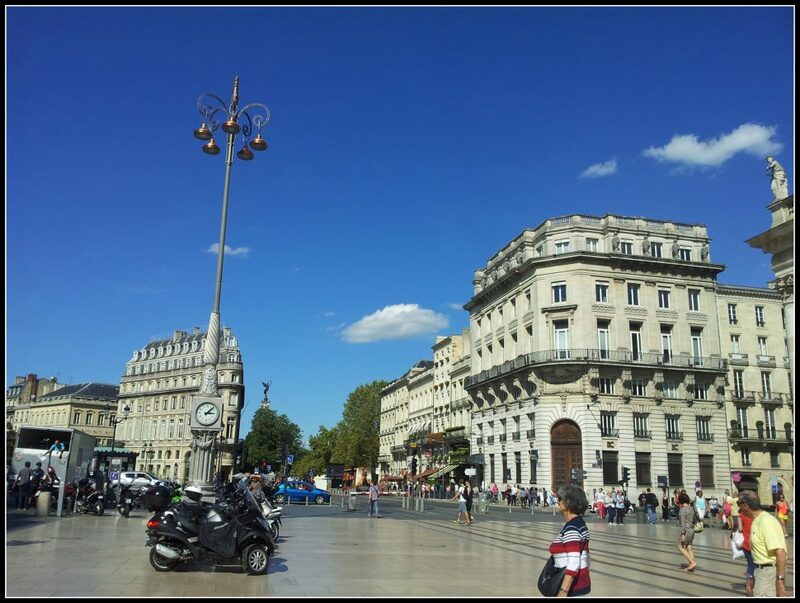 Our dock is directly in the historical center of Bordeaux. Bordeaux is a UNESCO world heritage for a reason. The list of buildings, place and hidden gems is worth seeing: Walk into the city via La Porte Cailhau, the royal entrance. We suggest a thorough tour: Bordeaux is a City that doesn’t just glow due to its individual buildings, but through the grandiose, well preserved old city. Today we arrive in one of the most famous wine regions of the world. Quickly you will get to the Château Lamothe Bergeron. Tourism and wineries are developing around here. 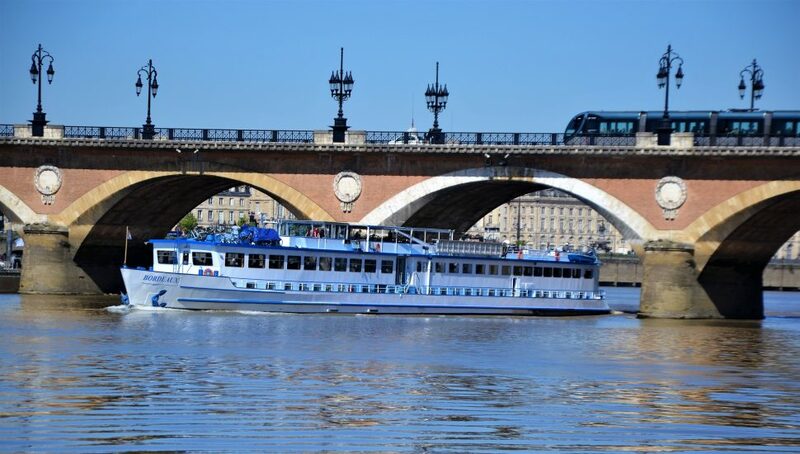 A romantic route will be traveled in the evening on the MS Bordeaux. 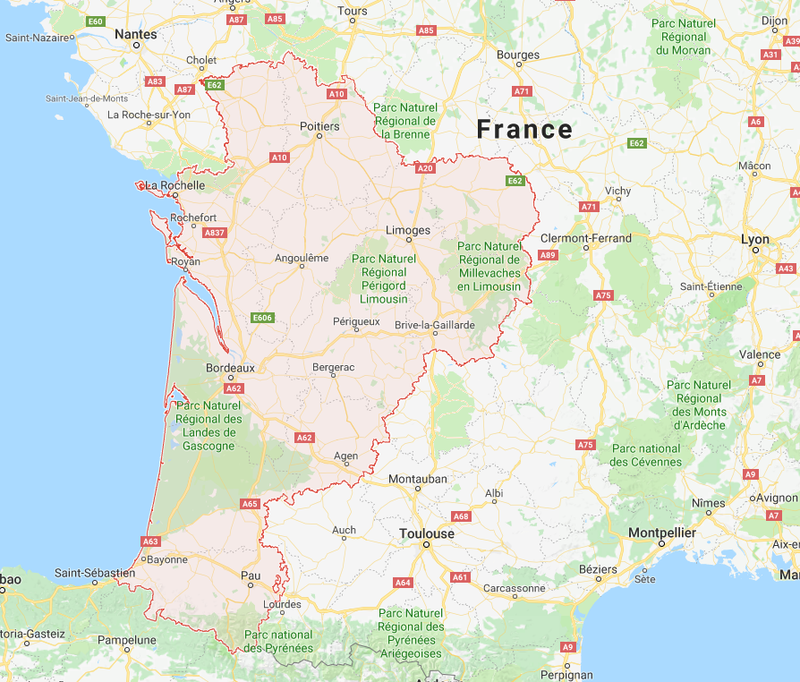 We will move further to Bourg-sur-Gironde. This part of the trip offers views on endless vineyards, garnished with many castles. Beautiful and romantic is the church of Bayon. You soon will reach the Citadel of Blaye, also an UNESCO world heritage. Take your time for a tour. Back in Bourg, you may enjoy another small trip through the city and look forward to the sundowner on board of the MS Bordeaux. In the evening, the MS Bordeaux will sail to Libourne Fronsac. St. Emilion is one of the highlights. You can stroll around the city and enjoy a glass of wine or a café. It is time to say goodbye. Your cycling holiday is over. Au revoir et à bientôt ! Main Deck: The main deck has 36 cabins: 34 twin cabins (approx. 7.5 – 8m² = 81 – 86 sq.ft.) with two single beds next to each other and two junior suites (approx. 11m² = 125 sq.ft.) with two single beds next to each other, small sitting area. All cabins have small windows that can be opened, en-suite bathroom with shower + toilet, individually regulated air conditioning, satellite- TV, mini-safe. Flat, from tm time to time bit hilly parts on cycling paths and small roads. The vessel is under experienced French management. In the front part of the ship is the tastefully furnished salon/lounge with a nice bar and a small dance floor, large panoramic windows all around. In the back part of the ship is the restaurant with large windows. In the lounge, Wi-Fi is available (limited data). The sun deck has a large sunroof, chairs and tables, and a cycle shed (aft deck). The MS Bordeaux is 78 m long, 10 m wide and can accommodate max. 80 guests.